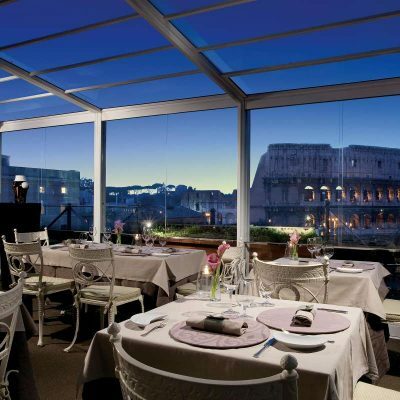 Aroma Restaurant. 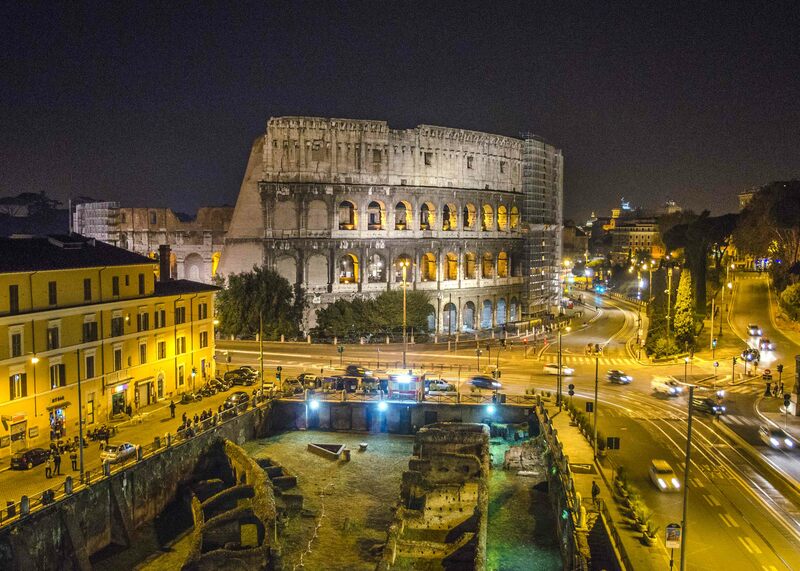 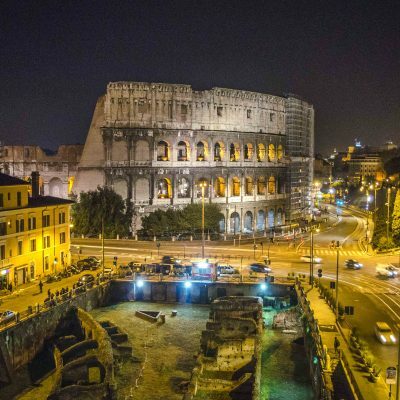 An unique location for an unforgettable night experience in Rome with a best view of the Coliseum. 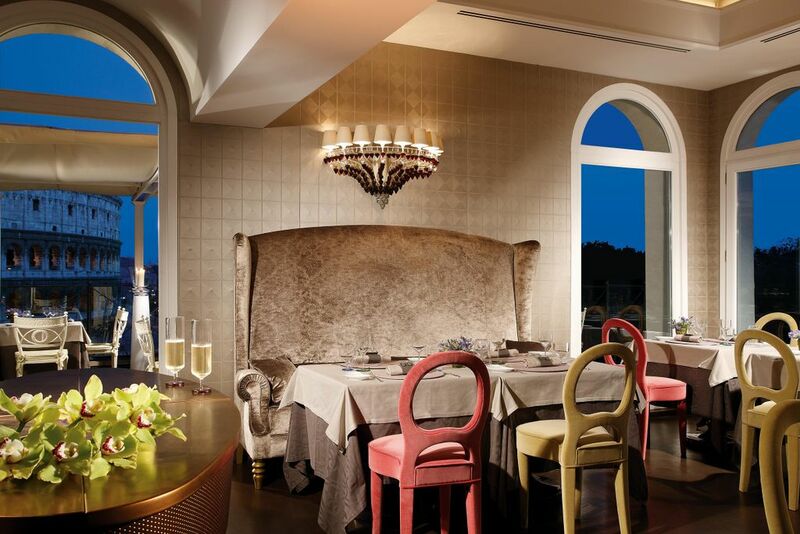 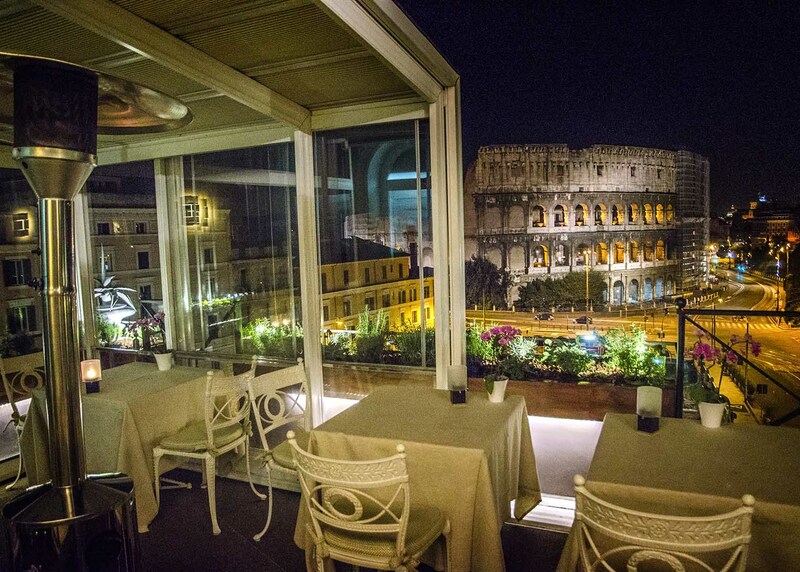 On the top floor of the Hotel Palazzo Manfredi is located the starred Rome restaurant ‘’Aroma ’’, where from its terrace overlooking the Colosseum you can dive directly into the atmosphere of Rome and its ancient ruins. 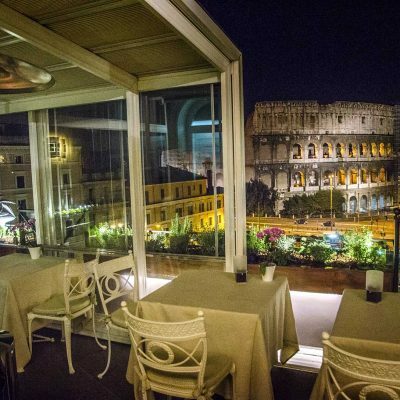 From its unique Rooftop overlooking the Colosseum you can immerse directly into the atmosphere of Rome and its ancient ruins. 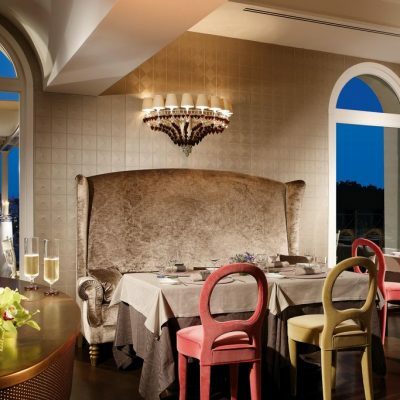 Chef Giuseppe Di Iorio and his team offer fine and quality dishes, leaving the choice of the Tasting Menu and the other, à la Carte Menu. 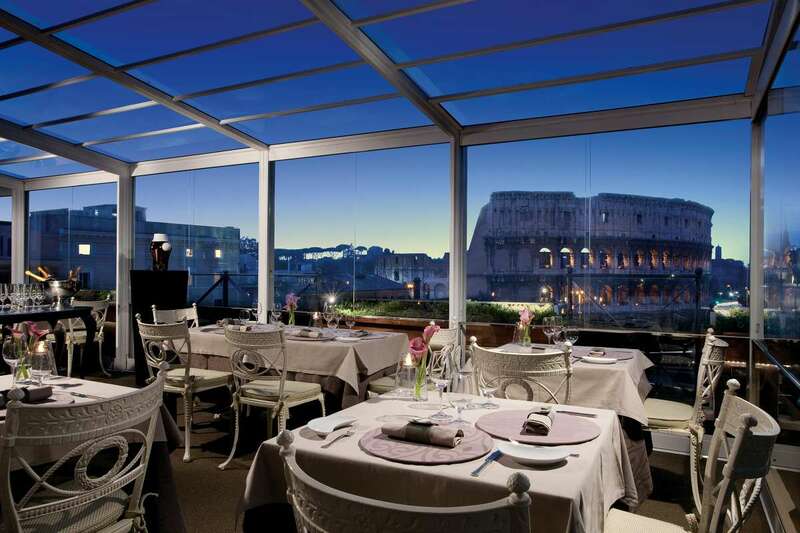 Here Roman and European-inspired dishes are accompanied by a wine cellar with over 400 labels.